Greetings, dear readers! It’s been quite awhile since we’ve gathered around The Crowded Table, but thanks as always for stopping in! 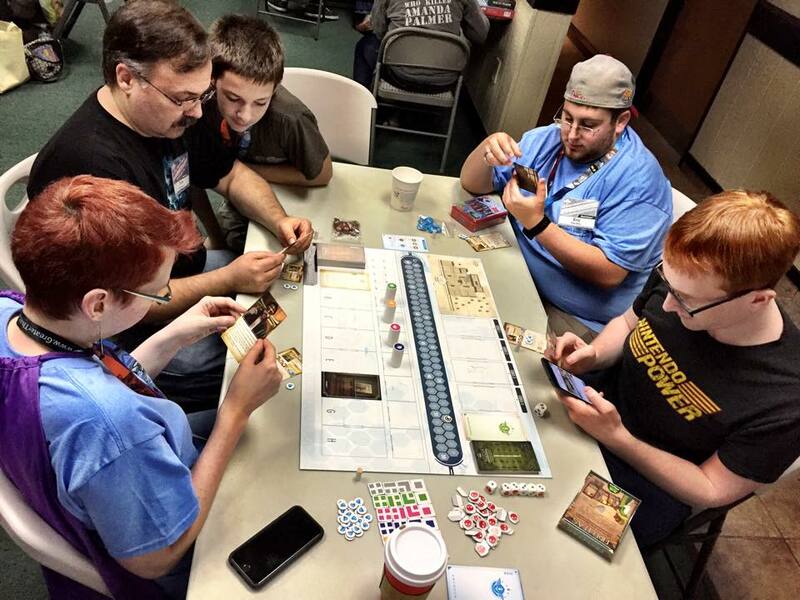 In this edition, I take a quick look at a few games that we played at The Gamers for Cures 24-hour Marathon at The Gamer’s Armory in Cary, NC. For those not familiar with the marathon and its excellent cause of raising money for The Turner Syndrome Society, check out gamersforcures.com and consider contributing to the cause next year! Just a small note: Many of these titles are recent Essen releases, but they’ll be headed into U.S. circulation before too long. Sometime in the not too distant future, Antarctica has become a hot bed of scientific activity, and several nationalities have started to mine resources, build kelp farms and power turbines, and just generally try to save mankind by monetizing the ice caps. You know, like you do. At its core, Antarctica is essentially an area control Euro but with a fairly interesting turn order mechanism that is a bit reminiscent of Expedition: Northwest Passage. Each round, the “sun” progresses counter-clockwise around the board, thawing ships that might lie in port and letting the player first in line there move their ship somewhere else to take an action. At that port, the ship will head to the back of the line (if any ships are there) and won’t be able to move again until it’s first in line and the sun has made its way back around again. This creates some extremely interesting placement decisions, as the more popular spots tend to score a bit higher because of all the scientists and buildings congregating there, but heading to a more open spot might allow you more actions and consecutive turns. Because of the variable turn sequence, downtime can be a bit unpredictable, so some gamers who like patterns and control might end up flipping the table. 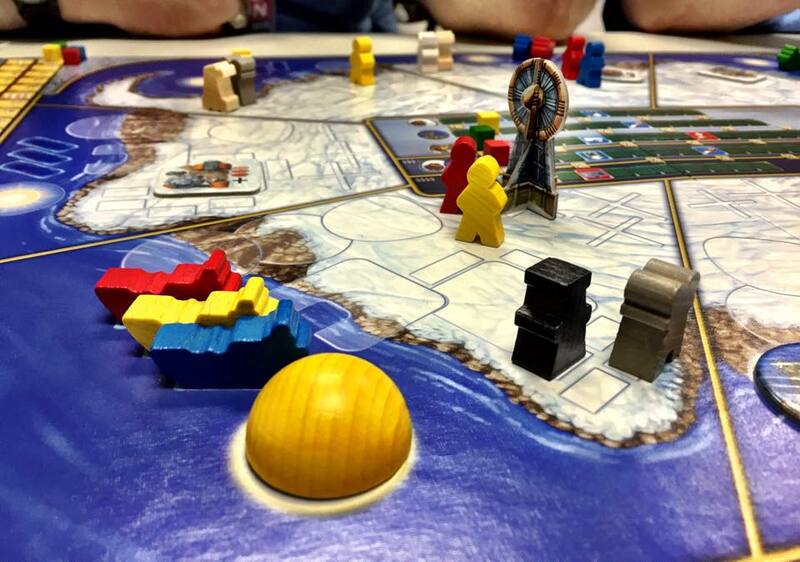 I quite enjoyed Antarctica, but I thought the end scoring was a bit crazy, with fairly large disparities between first and second place players in each area. For fans of dark humor and the macabre, no game in recent memory delivers quite like The Bloody Inn. Players take on the roles of rural innkeepers in 1830s France who all really want to get their piece of the poisoned pie. The plan is simple: Lure guests into the inn, kill them, then bury and loot their bodies. But watch out for visiting police who remain in the inn come morning – if you have any unburied bodies, you’ll have to bribe the gravedigger to help you hide them. That is, unless you just kill off the police before morning… I told you it was dark! Some guests have a handy proficiency, so you may want to bribe them to become your accomplices instead of killing them – so long as you can continue to pay them a little of your take. And other guests can help you build annexes to the inn, giving you not only a place to hide bodies but also a special ability that could help you achieve your dirty deeds! The gameplay is quick, the art style is superb – especially suitable for the theme – and the strategies are wide, guaranteeing nicely-varied repeat plays. I quite enjoyed my two stays at this inn, but, then again, I survived! In T.I.M.E. Stories, you and up to three other players are members of a special agency out to fix temporal irregularities – hiccups in the time continuum. To do this, you’ve got to jump back to a certain period and inhabit suitable vessels to solve a mystery within a certain amount of time. So, yes, it’s basically Quantum Leap, except without Sam, Al and Ziggy. 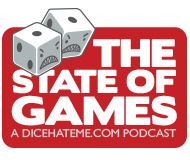 The core of the game centers around what the designers call “decksploration” – a deck of story cards that include certain important locations the team can visit, items that will help them delve further into the mystery, and all manner of other things that will no doubt be introduced in future mission packs. The general vague purpose of the agency, and the time travel itself, is a bit of a macguffin, but as a framework for making players feel as though each story expansion has an overarching purpose, it works quite well. The somewhat minimalist design aesthetic of the board and pieces successfully marries well with the story decks, creating a blank backdrop for the often-stunning panoramas that unfold as you progress through the various locations on the mission. It’s eye candy of the highest order, but not for the sake of extravagance; the art and design really create a sense of depth and involvement. 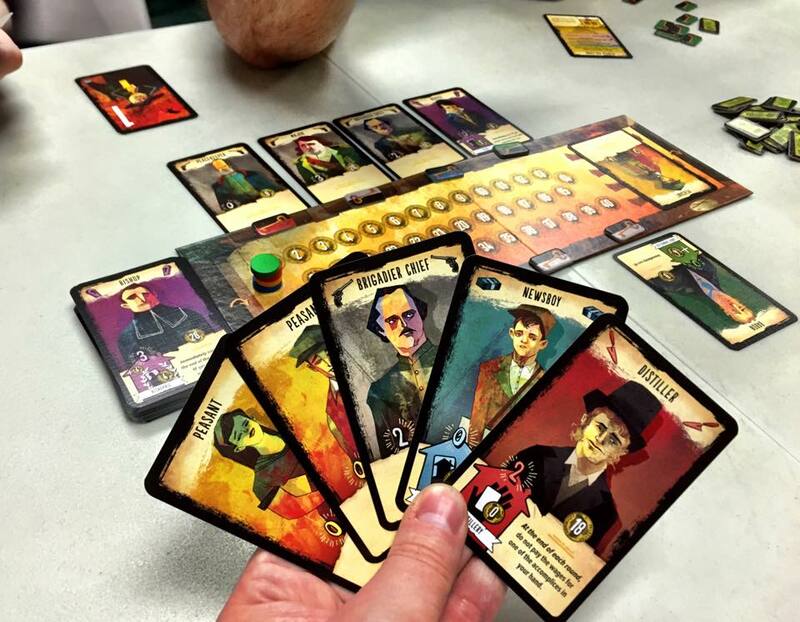 The game is highly engaging and quite charming, but once a group of players solve the mystery of the first story deck, “Asylum”, they’ll be left without a game to play until someone purchases an expansion. It’s slightly annoying that two missions weren’t included in the main box, but I will say that you get about 5 hours worth of play from just the first mission alone, and I was more than happy to teach the game to a whole new group and watch as they unravelled the mystery, just like revisiting a favorite old movie. I finally got a chance to try out this highly-revered classic after almost 10 long years, thanks to marathoner Ruth Boyack. 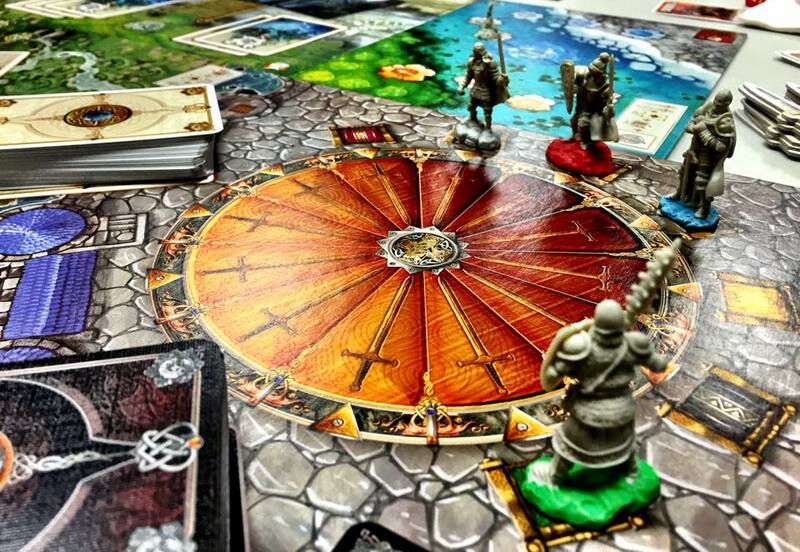 Shadows is a semi-cooperative game where everyone, unsurprisingly, plays a night of the round table defending Camelot from the likes of the Black Knight, the Picts and Saxons, Morgana, and other nefarious sorts from Arthurian legend. Players defend the realm by managing a hand of different cards, visiting locations to fend off the attacks, and then balance risk versus reward in either drawing a card that often does something very, very not good or losing a point of life, inching closer to defeat. The semi-cooperative nature of the game comes in the form of a traitor; yes, there is a chance that one of the players is working against the group, which may turn off some who prefer a straight-up coop experience. I, for one, adore traitor mechanics – which is probably why I was slightly disappointed in our game since everyone ended up ultimately on the side of Excalibur. Pity that! CVLizations is a recent addition to Polish publisher Granna’s “Expert” line of games, which includes the 2013 release, CV. Unlike its prior namesake, CVLizations does not include a dice mechanic, but the game is just as easy to play and includes the same charming illustrations and subtle humor that made CV such a joy. 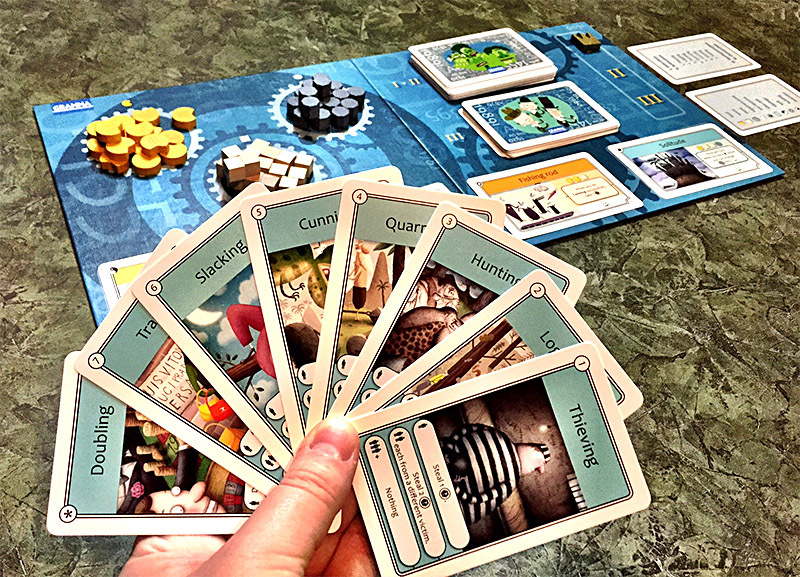 True to the game’s title, players are working to build up their civilizations over time – three rounds of actions per age, with three ages in the game. To do this, each player has an identical hand of 8 different cards. Each round in an age the players select one card to place face up and one face down. The outcome of each action chosen depends on how many players chose that action. For instance, if only one player played Logging, then they would take 2 wood from the resources. If two players chose Logging, though, each of those players would take 3 wood. If three or more choose it, they all get 1 wood. Other actions can get even more dangerous with bluffing; Slacking (which provides Happiness, the victory points in the game) provides 1 Happiness if one person chooses to do that action, 2 if two players choose it, but none if three or more choose that action. After actions have been chosen and activated, those cards are set aside and players will only have access to them at the beginning of the next age. At the end of each round, players can use their resources (food, wood and stone) to buy developments which grant special abilities and allow players to build up an engine or end-game points generator over time. CVLizations is a breeze to teach and play through, and second-guessing what the other players are going to do – or making subtle wink-wink nudge-nudge bargains with others – provides great tension and lots of moments of either great celebration or muffled curses. Overall, it’s a nice change of pace for when you want to build a grand culture but you don’t have 3+ hours to drag out one of those other civilization titles gathering dust on the shelf. I’m eager to play T.I.M.E. Stories and The Bloody Inn. It’s good to see both of those games receive good marks from you. I expect I’ll play at least one of them next week at BGG.CON which reminds me… this year, Chris, we shall play a game together. I’ll see you there! Love the concept of The Bloody Inn. Of course, this is just my kind of theme in every artistic endeavor. Will love to play it with you if you bring it up for the holidays! See you soon.